For me, many of the best wines are intertwined with the people that make them. Perhaps that’s my primary reason why I love the wines of Piemonte so much (there are many reasons, of course). This is a land where third, fourth and fifth generation farmers and vintners are growing grapes and making wines that reflect their viticultural area as well as themselves. These aren’t wines made by committee that are market-driven; rather these are individual offerings that speak to producing what the land offers. There are numerous personalities in Piemonte who have impressed me with the straightforward approach they lend to their work. Take a look at the photo above of Sergio Barale – here’s someone you can trust to deliver honest wines. His Barolos (Barale Fratelli) from the Castellero vineyard – and now from the famous Cannubi vineyard - are steeped in tradition. Aged in large wood, the wines have excellent varietal purity, refined tannins and healthy acidity; they will age gracefully. Barale puts just as much effort into his Barbera and Dolcetto as well; elegant and tasty, these are ideal wines to accompany local cusisine. Even his Chardonnay, a grape not widely planted in Piemonte is refreshing and attractive, as he avoids wood aging, preferring to let the fresh fruit shine through. Sergio is also quite humble; if he gets a good score in a magazine, well that’s fine, I guess, but I’ve never heard him talk about that subject. For Sergio, it’s all about making authentic, subdued wines. How about Matteo Ascheri – is this the face of someone who enjoys what he’s doing? Matteo is the proprietor of Cantine Giovanni Ascheri in Bra, located just outside the Barolo zone. He produces a wide range of wines, from a complex Arneis to intensely fruity and wonderful bottlings of Dolcetto to two gorgeous Barolos from his Sorano vineyard in Serralunga d’Alba. While these Barolos do share many traits of a typical Barolo from this commune – beautiful structure for long-term aging - these are a bit more perfumed than the typical Serralunga Barolos. Keep an eye out for these wines; his bottlings from the 2004 vintage were remarkably elegant with lovely red cherry and cedar aromas backed by silky tannins. If you’re ever in Bra, make sure you visit the cellars and plan on enjoying lunch at the osteria Matteo owns (Osteria Murivecchi, right next to the winery), which offers extremely well prepared pastas and meats. Keep room for the outstanding selection of cheeses, especially the local toma. Many vintners have graciously spent plenty of time with me during my visits, answering my seemingly endless questions over a glass of wine in their cellar or at a local trattoria. Alessandro Locatelli of Rocche Costamagna has been one of the kindest, showing me around not only his vineyards, but those of his neighbors in La Morra as well. Along with detailed cellar tours and tastings at his winery, Alessandro has been instrumental in helping me understand the local terroir, so I can see why his Barolo tastes quite different from one produced in a different commune. He was awarded the prestigious Tre Bicchieri rating from Gambero Rosso for his 2004 Rocche dell’Annunziata Barolo. Certainly in my eyes, this award was both for the wine and for the vision he has had for many years now of crafting the most elegant, authentic Barolos (as well as some tantalizingly delicious Dolcettos) he possibly can. Finally, Pietro Ratti has been invaluable to me regarding the history of Barolo. His father Renato was one of the most respected vintners of this area, especially for his work in mapping out the indivdual crus and sub-zones of Barolo back in the late 1970s. Pietro today carries on the message of the importance of these sites, telling me the work in Barolo today, “has moved from the cellar into the vineyards.” Energetic, positive and graceful, Pietro always seems to have a smile on his face. Perhaps that’s because he recognizes how fortunate he is to carry on the tradition of his father. There are so many more people in Piemonte I am indebted to – and I didn’t even mention the vintners in Barbaresco or Asti! I guess I’ll have to write about them in a future post. One final note- I am off to Puglia for several days, so no new posts for the next week or so, but I’ll report on these wines next time. I enjoyed lunch at Francesca’s on the north side of Chicago with my friend and fellow Italian wine lover Jeremy McMahon the other day. Jeremy’s only been in the wine business for a few years, but he’s already accomplished something I haven’t – he’s worked a harvest in Piemonte. How I envy him for that! We talked about his experience over lunch. He worked for Paolo Sarocco for the Moscato harvest in Castiglione Tinella and after finishing that, Sarocco told him about a fine Barbaresco producer by the name of Pasquale Pelissero (also known as Cascina Crosa), located in the town of Neive. Jeremy went to work there and by the way he told his story, I could tell that he loved his time in the vineyards (especially tasting the ripe grapes) and was grateful for the kindness of the local vintners. He brought a bottle of the 2005 Barbaresco “Bricco San Giuliano” from Pasquale Pelissero and it accompanied our lunch like it was meant specifically for our spinach and pastas. This is a textbook example of this wine; my notes describe the currant and persimmon aromas, rich concentration, subdued oak, lively acidity and graceful finish. We both loved the wine for numerous reasons, most specifically because it was an elegant accompaniment to our food. There was clearly no thought on the part of the winemaker to fashion a “big” wine that would be awarded high scores in a wine magazine. Rather the winemaking here was respectful of the fact that whoever tried this wine would enjoy it with food. There’s been plenty written about this trend by Jeremy, Franco Ziliani, Alfonso Cevola and many other wine journalists who respect tradition and terroir in Italian wines. There’s no need for me to add that much more except to say that we need to keep reminding consumers that there are differences between wines that overwhelm you (the wow factor) and the ones that try to delight you. Tradition in Italian wines is all about the simple pleasure of pairing a wine with the local foods. How nice that the people associated with Pasquale Pelissero as well as hundreds of other Piemontese producers understand that! Over the past five or six years, the Santa Lucia Highlands (SLH) has become one of the great viticultural appellations in California. Located about a thirty-minute drive directly east of the city of Monterey, this is Steinbeck country where fields planted with lettuce, asparagus, celery and other crops dominate the landscape. Tucked between these fields and the hillsides of the Santa Lucia range, a few dozen vintners have planted vineyards primarily to Chardonnay and Pinot Noir. A fierce wind comes in the valley every afternoon, moderating temperatures and shutting down the vines, making this ideal for early ripening varieties. 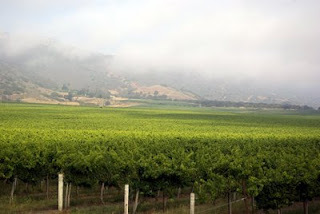 Some of California’s finest Chardonnays are from this area; two that immediately come to mind are the Sleepy Hollow bottling of Talbott and the “Double L” from Morgan. Both have great intensity of fruit and excellent structure and vibrant acidity that make them ideal candidates for aging. 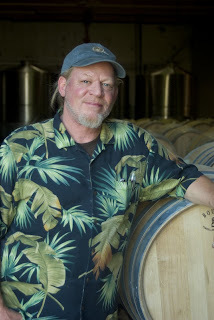 Dan Karlsen, who has recently taken over winemaking duties at Talbott, is currently producing some of the best wines from this estate in some time; the Sleepy Hollow offering beautiful pineapple fruit (a direct result of the classic old Wente clones), a rich mid-palate and lively acidity. The Morgan, made by Dan Lee, displays pear and Meyer lemon flavors along with notes of spice in the finish. Other first-rate Chardonnays from Santa Lucia include the 2006 Paraiso, an excellent value at $18 and the gutsy McIntyre Estate bottling from 2007, a wine that has great depth of pineapple and golden apple fruit backed by a rich finish with great persistence. This is an outstanding value at $27- don’t miss this one! As for Pinot Noir, SLH has become one of the top growing areas in all of California. Joe Wagner, vineyard manager for Belle Glos (the Pinot Noir project of Caymus) told me that, “of all the Pinot Noir sites we farm in California, I get the most consistent fruit from our SLH site.” Other great sites include the Pisoni Ranch, which is the source of Pinot Noir for about a dozen of the finest producers of this variety throughout the state. Gary Pisoni, a free thinker if there ever was one, is a fanatic about French clones of Pinot Noir and it shows in the big spiciness in his wines. Pisoni along with his partner Gary Franscioni also owns the appropriately named Garys’ Vineyard, another great Pinot Noir site prized by some of California’s best producers. Lee also crafts a gorgeous Pinot Noir from his “Double L” vineyard; the current 2006 bottling offers up aromas of cardamom, cumin and morel cherry; there is excellent depth of fruit, light spice and beautifully defined acidity. Also look for these SLH Pinot Noirs: the outstanding 2006 Belle Glos “Las Alturas”, the 2006 or 2007 Paraiso “West Terrace”, a spicy wine with silky tannins and the 2006 Pessagno “Four Boys”, made from the La Tache clone of Burgundy. There are other varieties planted in SLH as well; Paraiso makes an excellent dry Riesling with light notes of pear and lime, while Lee has planted a small amount of Syrah at “Double L” (the current 2006 with its flavors of black cherry and mocha is remarkable). But it is the Burgundian varieties that have made the Santa Lucia Highlands one of the finest growing areas in all of California and the good news is that the producers there are just starting to get on a roll. I can’t wait to taste the bottlings from this area over the next few years!